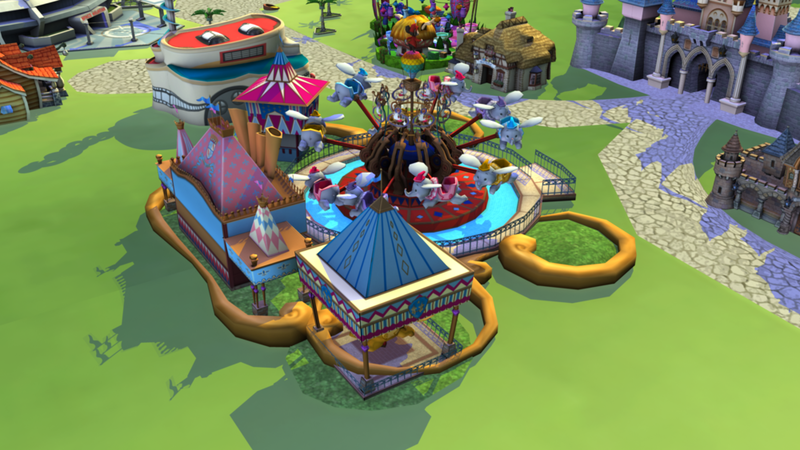 Sparked by the acquisition of Playdom by the Walt Disney Company, Playdom's VP of Game Design (and video game legend), Steve Meretzky and I set out to bring the Disney theme park experience to Facebook's social gaming platform. Build the Disney park of your dreams right inside Facebook. Build your favorite restaurants, shops, rides, and even enter into the rides to experience them first hand through amazingly rich mini-games. With our idea greenlit, a studio was built from the ground up to begin work on this massive game. The vision expanded into a full 3D immersive world. We worked with Disney's fabled Imagineering group as well as Disney Consumer Products to create tradeable enamel pins based on artwork I created for the game. In the end, our ambitions were too ahead of the technology and after 2 years of dreaming and making magic, Disney Dream Kingdom was shuttered never officially launching. My responsibilities included leading UX/UI Design, game design, concept and production art, and visual design. I also created the logo and worked with marketing on branding assets. Early exploration of "next-level" social interactions in social games. The Dumbo Attraction. 3D modeled by our amazing artists. I didn't have anything to do with this but it looks awesome and helps tell the story. The 12 resources players would have needed to collect. Most of these were turned into collectable enamel pins.